Relay For Life is a fun and moving overnight experience that raises vital funds for the Cancer Council’s research, prevention, information and support services. 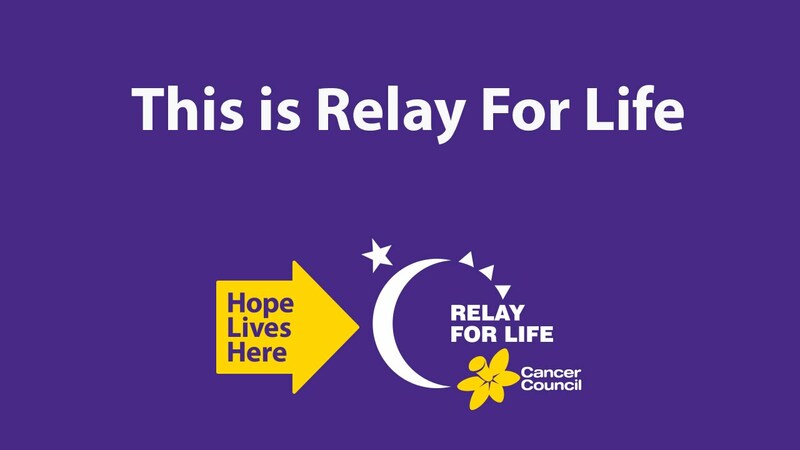 Relay is a chance for the Townsville community to recognise and celebrate local cancer survivors, patients and their carers, to honour and remember loved ones lost to cancer and to raise money to help save more lives. The Townsville Relay For Life has the largest number of teams in all of Queensland and is always a very special Relay to be a part of. This year, to coincide with Townsille 150 celebrations the theme of the Relay is Looking Forward, Looking Back so come along in costumes of decades past or what you think we will look like in the future! Join the thousands of Australians who take part in Cancer Council’s Relay For Life each year in the fight against cancer: start or join a team in the Townsville 2016 Relay today! Townsville Relay for Life Registrations Here! How does our Club Help Out?? Townsville Cleveland Bay Lions Club has had a long standing relationship with the Queensland Cancer Council and the Relay for Life organisors by supporting the logistical co-ordiantion of the Cafe which runs throughout the event, including the Survivors Tea and Walkers Breakfast. Our members, come together to prepare food, cook food, serve and assist where needed. A busy weekend indeed but one full of fun and mateship! This year, one of our Members has entered a Team in the Relay under "Cassie's Walkers" and we invite all Club Members to join and support her fundraising efforts. To Donate or Join "Cassie's Walkers", click the link!